From Jalan Pinang, Kuala Lumpur Convention Centre on the left, drive straight and keep left at the fork to Jalan Kia Peng and turn right onto Jalan Stonor, Top Hat will be on the left. Top Hats (a.k.a. 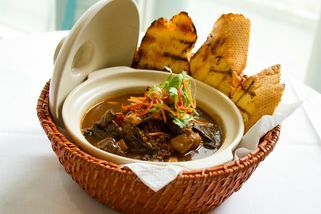 Pai Tee) is the signature appetiser and name of this restaurant at Jalan Stonor in Kuala Lumpur. 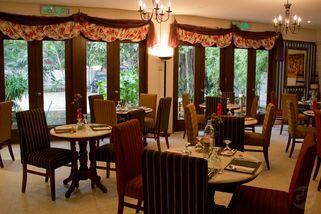 Housed in an old colonial bungalow, the establishment cleverly utilizes the unique setting to create a charming restaurant. 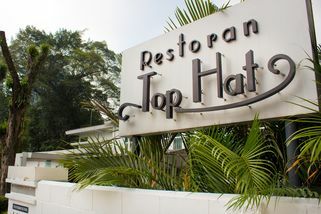 The homey decor complements the dining experience well as Top Hat Restaurant specializes in homecooked Malaysian and Western fusion meals. You will never be bored with the menu as it changes every three months. The signature dishes remain a staple but other food items are seldom the same, rendering each season's menu a joy to discover. 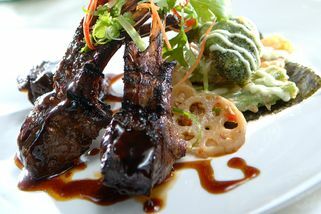 Choose from set meals or custom order your own meal from the starters to desserts. 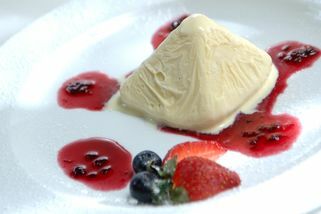 Enjoy a rich selection of homemade cakes, pastries, ice creams and sherbet. 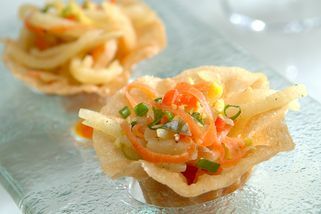 The restaurant's array of traditional Christmas and New Year goodies have also delighted customers for many years. I had lunch here earlier this year, it was such a long time ago but i still remembered trying its Signature dish and its Penang Laksa. Its signature dish had a healthy vegeratarian taste which i liked. Definitely something to try. 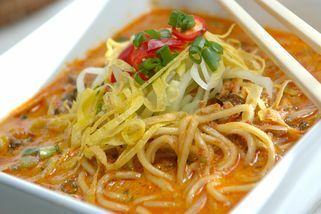 As for the Penang Laksa, it was honestly the most delicious Laksa i've tasted! Despite the spicyness of it. They have one of the better Tiramisu cakes in KL! A bit costly at RM16 though. The staff are some of the friendliest I've encountered in KL, and you know that's a rare thing! They are attentive, helpful and smile a lot.